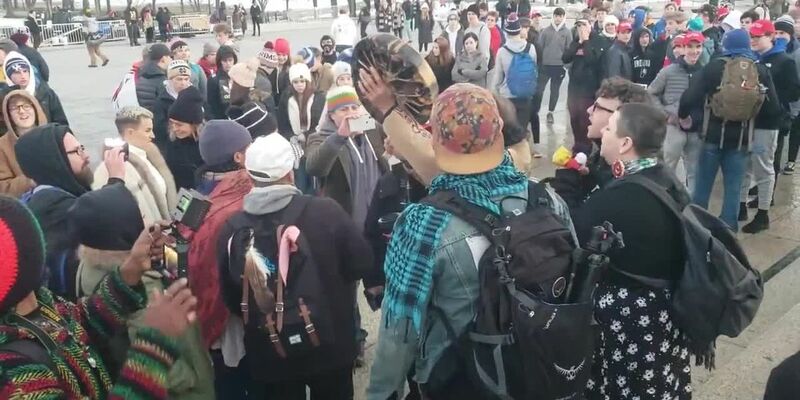 CINCINNATI, OH (FOX19) - Students from Covington Catholic High School seen in several videos during an incident with Native American elder Nathan Phillips will be meeting with President Donald Trump, Fox News’ Laura Ingraham said on Tuesday. Ingraham first reported they could meet with Trump as early as Wednesday, but later stated any meeting would happen after the government shutdown. She made the announcement on Twitter Tuesday afternoon. Videos have been shared all weekend of an incident involving CovCath students. The initial video showed the now-self identified Nick Sandmann, a junior at CovCath, standing in front of Phillips, a native American who was participating in the Indigenous Peoples March. Trump has weighed in about the incident on social media twice in less than 24 hours. Neither Trump or the White House have confirmed the meeting.